held at the National Indoors Sports Centre on Saturday. The Spell It Out singer won awards for the Female Fashion Icon of the Year; Favourite Local Female Artiste of the Year; and Young, Hot and Hype Female Artiste of the year. 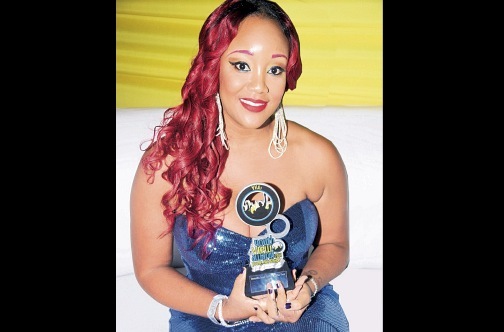 “I’m grateful for the wins; 2013 was not my best year, but I have a strong fan base and Jamaica people have spoken,” Tifa told the Jamaica Observer. Other winners who left with two individual or shared awards were Chronixx, I-Octane, Konshens and incarcerated deejay Vybz Kartel. 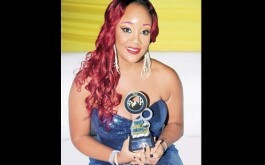 Single award winners included Mystic, Kalado, Popcaan, Kevin Downswell, QQ, UIM Records, Shady Squad and Chromatic. Between announcements of winners were performances from TOK, Kalado, Popcaan, Kevin Downswell, Jah Bouks, Gaza Slim, Bugle, Alaine, I Octane, and Jodi-Ann Blake. Samantha J, who received the Favourite Breakout Celebrity award, struggled during her set which included her smash hit Tight-Up Skirt. Disney Channel stars Zendaya and Trevor Jackson gained new fans after they wooed the audience with their individual performances. Before her performance, the 17-year-old Replay singer said she was looking forward to performing for her Jamaican fans. “I am so excited to be performing. It really touches my heart to hear that Jamaicans love my music,” she said. Karen Clarke, YVA conceptualiser, was pleased with event. She said the awards show is about giving youth a voice. “It also shows the power of a vote. Without music, sometimes there is no life,” she said. Patrons enjoyed the after-party at the same venue.